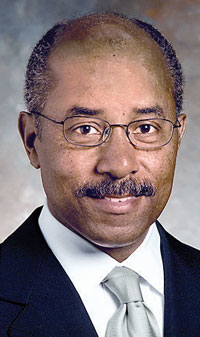 GM's Ed Welburn: Staggering the introduction of model derivatives helps "generate excitement for the vehicle." GENEVA -- General Motors Co. will redesign its models more often and stagger the introduction of future model derivatives, the company's design chief says. Ed Welburn, GM's vice president of global design, said the automaker has adopted a model introduction strategy that closely mimics that of brands such as BMW. Rather than introduce all model derivatives at the same time, GM will follow what BMW does with the 3 series, staggering the introduction of variants over 24 months. "They do the 3-series sedan, then over a series of years a coupe, convertible or something else," Welburn said during an interview at the Geneva auto show earlier this month. "There is always something new, something to talk about, something to generate excitement for the vehicle." For example, the forthcoming Cadillac ATS -- a compact, rear-wheel-drive vehicle due in the 2012 model year -- is expected to arrive as a sedan, coupe and possibly a convertible spread over about 24 months. The current-generation Cadillac CTS sedan was introduced first, and the wagon went on sale last summer. The coupe will go on sale this summer. Welburn also said styling changes to GM's cars and crossovers will take place more often. GM no longer can "just develop a vehicle, put it out there and just let it stay out there for six, seven years without some freshening. We need to keep it fresh," Welburn said. "If you have a strong vehicle in the market, you have to keep it fresh. ... Some products will require more changes than others. "Our customers are impatient," Welburn said. "Vehicles that are success-ful need to continue to sell well."